INTRODUCTORY TEXT: A Swedish District Court has recently ruled, as one of the first domestic courts to do so, that non-state armed groups have the capacity under IHL to establish courts and impose penal sentences under certain specific circumstances. This case allows a discussion of whether the conclusion of the Swedish District Court is compatible with IHL. Case prepared by Eleonora Heim, Master student at the Universities of Basel and Geneva, under the supervision of Professor Marco Sassòli and Ms. Yvette Issar, research assistant, both at the University of Geneva. [a] During the spring of 2011, a large popular uprising began in many countries throughout the Middle East and North Africa. The primary demand of the protest movements, which came to be known as the "Arab Spring", was for the ruling dictator in the various countries to resign. In Syria, a number of armed groups took part in the uprising against President Bashar al-Assad, including the secular Free Syrian Army (FSA) and other Islamist resistance groups. At the beginning of the Arab Spring, Haisam Sakhanh, a Syrian citizen, resided in Italy based on a residence permit dating back to 13 March 1999. He was a member of the protest movement "Manifestazioni Siriani a Milano" ("Syrian Demonstrations in Milan") and demonstrated against the Syrian regime. [b] On 30 April 2012, Haisam Sakhanh flew from Milan to Istanbul and further to Hatay airport in southern Turkey, where he was met by a friend. Together they travelled to Kafar Kila, situated in a rural area of Idlib Governorate in north-western Syria. […] Kafar Kila constituted the headquarters of the armed opposition group called "The Suleiman Fighting Company" (Firqat Suleiman el-muqatila). The Suleiman Fighting Company was founded at the end of 2011 by Sheikh Abu Suleiman and was mainly active in the Djebel el-zawia region in the rural area of the Idlib Governorate and in the country-side of Hama; strongholds of Syria’s Islamist resistance. The leader of the group, Abu Suleiman, commanded thousands of fighters who organised bases and brought in supplies from Turkey. The Suleiman Fighting Company was well-funded and well-equipped and attracted new fighters at a rapid pace. [c] In the beginning of May 2012, the Suleiman Fighting Company and another armed opposition group, the Ahrar Alshamal Sermin Battalion, carried out an attack against a Turkish military post just outside the village of Delbiya, located approximately 15 km west of Kafar Kila, near the Turkish border. [f] On 18 June 2013, Haisam Sakhanh left Lebanon and travelled to Sweden via Brussels. Once in Sweden, he sought protection as a refugee. Based on documents provided by the Swedish Migration Board Haisam Sakhanh, when asked, claimed never to have participated in hostilities in Syria and denied having had access to his passport or that he had previously sought or obtained a residence permit in Europe. [g] On 5 September 2013, the online version of the New York Times published a partially censored video displaying the Suleiman Fighting Company’s execution of the seven Syrian soldiers. [h] On 17 October 2013, the Swedish Migration Board granted Haisam Sakhanh a permanent residence permit and recognised his refugee status. [i] Subsequent to these events, Swedish police obtained information indicating that Haisam Sakhanh – who was identified in the film of the execution by Italian police– was living in Sweden. The police therefore initiated a preliminary investigation on suspicion of a serious crime against the law of nations. [j] An arrest warrant was issued for Haisam Sakhanh on 11 March 2016. He has been held in custody since 13 March 2016 suspected of having committed a serious crime against the law of nations. [k] On 17 March 2016, the government decided that the Stockholm District Court has jurisdiction to try the case. The government moreover granted the public prosecution permission to bring proceedings for the crime in question on 27 October 2016. 2. The penal provision governing crimes against the law of nations and that is applicable to this case, is set out in Chapter 22. § 6 of the Penal Code, as it existed prior to 1 July 2014. According to this provision, a person who has committed a serious violation of an international treaty or a generally accepted rule relating to international humanitarian law, can be found guilty of this crime (i.e., a crime against the law of nations). If the crime is serious, the maximum penalty is eighteen years or life imprisonment. In determining whether or not the crime is serious, "particular consideration must be given to whether the crime was committed through a great number of separate actions or whether many people were killed […]". 3. 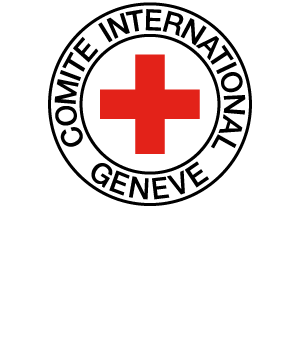 The Geneva Conventions (GC I-IV) contain certain basic guarantees applicable to non-international armed conflict, arising in the territory of one of the contracting parties. These guarantees are set out in Article 3 common to the Geneva Conventions [hereafter CA 3 ] and in Additional Protocol II relating to the protection of victims of non-international armed conflicts, dated 1977 (APII). AP II complements CA 3 and strengthens the protection of vulnerable persons in non-international armed conflicts. More details of the guarantees concerned are set out in Article 4 of AP II. 4. Syria ratified the Geneva Conventions already in 1953 and is bound by them. However, there has been no ratification of the Additional Protocols. 8. In international armed conflicts, it is vital to determine whether or not the actors have combatant status. In non-international armed conflicts there is no such status. The basic guarantees set out in CA 3 and Article 4 of AP II apply to those persons who are not actively participating in the hostilities or who have ceased participation, for example as a result of having been captured or interned. The categories envisaged are therefore civilians and persons who are typically labelled hors de combat. 9. In non-international armed conflict, it is possible for individual civilians to be guilty of war crimes under international humanitarian law. This requires a nexus between the criminal conduct and the armed conflict. Crimes committed on the basis of a personal motive with no such link are not to be considered as war crimes. In order to consider that such a nexus exists, the conflict must have played an important role in the perpetrator’s ability to perform the act, in his or her decision to perform the act, in the way in which the act was performed or in the objective pursued by the act. 12. In order for there to be a non-international armed conflict, there must be protracted armed violence between government troops and an armed group or between different armed groups. Statistics concerning the number of persons killed per month in Syria increased significantly during the period of January–August 2012. Moreover, from May–June 2012, the number of persons fleeing Syria increased and an estimated one and a half million people were considered to be in urgent need of aid, compared to the previous figure of one million people. It follows from these circumstances, in conjunction with reports of international organizations in the spring of 2012 on the protracted armed violence that there is no doubt that the intensity of the conflict had reached a level sufficient to constitute a non-international armed conflict. This fact, together with the documented increase in the ability of the armed opposition groups to organize themselves, and the presence of a command control, in the number of armed opposition groups commanding the loyalty of many fighters, has made it clear that at the time of the event under investigation in May 2012, there was a non-international armed conflict in Syria. 14. However, the District Court must first consider whether it is proved that, during the non-international armed conflict in Syria, Haisam Sakhanh executed seven persons who were hors combat, as claimed by the prosecution. 15. Haisam Sakhanh has admitted that in the course of the conflict in Syria, and as a member of the armed group called the Suleiman Fighting Company (Firqat suleiman elmuqatila), at the time and place claimed by the prosecution, he participated in the execution of seven persons who were all wounded, and that he himself shot one of them, in accordance with the prosecution’s statement of the criminal act. He has, however, denied that the unidentified victims had extensive injuries as a result of beatings and that he was present when the corpses were disposed of after the execution. The District Court sets out below the evidence supporting Haisam Sakhanh’s admission and evidence relevant to the assessment of whether the prosecution, in spite of Haisam Sakhanh’s denial, has proven that the victims had extensive injuries due to mistreatment and that Haisam Sakhanh was present for the disposal of the corpses after the execution. 22. Based on a statement from the Swedish forensic authorities, the majority of the victims (numbers 1, 2, 3, 5 and 6) displayed bruises on their backs, strongly indicative of violence inflicted by a blunt object, in the form of blows or strikes with a hard, elongated object such as a baton or similar. According to the statement, the appearance of the bruises, which were visible before the shooting, indicates that they were inflicted at the most a day or two before the shooting. Other observations of possible injuries could not be assessed in more detail – e.g. a bandage on the left shoulder (no. 4) and a significant limp on the right leg and signs of being unable to use the right hand (no. 7). 23. The content of the statement and what transpires from the films also prove that the victims had extensive injuries at the time of the execution after having been subjected to ill-treatment. It is possible that the captured soldiers’ injuries arose in connection with the attack on Delbiya. However, the location of the injuries on the prisoners’ backs and the fact that the injuries are similar in all cases strongly contradicts this conclusion. According to the District Court, the injuries must therefore have been incurred after the soldiers were taken captives – at least in the case of victims 1, 2, 3, 5 and 6. 24. In summary, based on Haisam Sakhanh’s admission, the films and other investigation, it is proven that, at the time and place indicated by the prosecution, Haisam Sakhanh in concert with other perpetrators in the Idlib Governorate in Syria wilfully took the lives of seven unidentified persons from the Syrian state army who had been taken captives and were thereby hors combat. The victims had extensive injuries owing to ill-treatment. After forcing the captured soldiers to kneel or lay on the ground –several with their hands bound behind their backs – Haisam Sakhanh and the other perpetrators fired a large number of shots at close range with a firearm aimed at the soldiers’ heads and bodies. Haisam Sakhanh fired several shots with an automatic rifle which hit one of the victims in the head and body. 25. The District Court will next examine Haisam Sakhanh’s counter argument, that he was acting on orders in carrying out a death sentence which had been pronounced by a legitimate court, after proceedings which met the basic requirements for a fair trial as set out in international humanitarian law, implying that his actions must not be sanctioned. To be able to make a decision on Haisam Sakhanh’s objection, the District Court must first investigate the crucial legal issue of whether it is even possible for non-state actors to set up courts and what are the requirements for a fair trial in such case. a) Can non-state actors establish courts? 26. It follows from CA 3 that a soldier captured during a non-international armed conflict may not be executed without a prior judgement, pronounced by a regularly constituted court, which in the administration of justice provides those guarantees considered indispensable by civilised people. The expression “regularly constituted court” could give the impression that only a state can establish a court of this nature. Such an interpretation would also be in line with both the principle of sovereignty and the principle of legality; nullum crimen sine lege; nulla poena sine lege (no crime or punishment without law). However, the previous commentary by the International Committee of the Red Cross (ICRC) on CA 3 specified that the scope of application of the article should be as broad as possible. For example, text limiting the article to civil, colonial and religious war was not included in the final version of CA3. More detailed guidance on how the requirement of a regularly constituted court is to be interpreted was, however, not provided in the previous commentary on CA 3. Even though the wording of the article and the associated commentary do not give exact answers, guidance on how to interpret the requirement can be sought in other sources. The meaning of this term has been clarified in developments subsequent to the adoption of the Geneva Conventions in 1949, for example in the context of the APs I-II and the Rome Statute. 27. Article 75 of AP I sets out the requirement for a court to be impartial and regularly constituted. The ICRC Commentary specifies that the additional requirement in Article 75 AP I that the court must be “impartial” serves to emphasise the importance of an impartial court, even in situations of serious armed conflict. Even though AP I regulates international armed conflicts between states, it is the opinion of the District Court that the text of the article and the ICRC Commentary indicate a change in focus from the question of how a court is established to an assessment of whether a court respects fundamental guarantees of due process. Such a change in focus is confirmed in Article 6 of AP II, which states as the sole requirement that a court must offer the necessary guarantees of independence and impartiality. The ICRC Commentary provides that the requirement for the court to be regularly constituted has here been replaced by a requirement of independence and impartiality; it was considered improbable that a non-state actor could establish a regularly constituted court. Article 8.2.c.iv of the Rome Statute similarly contains a requirement for a regularly constituted court. In the "Elements of Crime" – a non-binding commentary for the interpretation and applicability of the Rome Statute’s articles – it is stated that the reference to a regularly constituted court means a court that fulfils the fundamental requirement of independence and impartiality, and moreover that the court can guarantee all other legal rights generally recognised as indispensable in international law. 28. In addition to the above, there is also reason to refer to applicable customary international law. The ICRC has undertaken a study of the rules of customary international law. In relation to Rule 100, the study specifies that no person may be convicted or sentenced other than by means of a fair trial, respecting fundamental legal rights. In the study the ICRC discusses the procedural requirements based on customary international law, stating that the requirement that a court be regularly constituted implies that it must be constituted and established in accordance with the laws and procedural rules which apply in a specific country. However, the emphasis in the proposed rule, as in its commentary, is on the requirement for the court to be independent and impartial. 29. In his hearing before the District Court, associate professor Mark Klamberg pointed out that there is an inherent contradiction in CA 3 in that the article clearly prohibits actions involving violence to life and person, in particular murder of all kinds, mutilation, cruel treatment and torture. Since the article is applicable in non-international armed conflicts, this also implies that non-state actors are required to maintain discipline in their own armed units. If the requirement for a court to be regularly constituted were to be interpreted strictly in accordance with the principle of sovereignty, it would render such control of military units impossible. According to Mark Klamberg, the implication is that a non-state actor must be able to establish courts to maintain discipline among its own units. The District Court shares Mark Klamberg’s opinion in this regard. 31. The above leads the District Court to reach the same conclusion as expressed by Mark Klamberg in his testimony. In a non-international armed conflict a non-state actor can establish courts in order to (1) maintain discipline in the actor’s own armed units and (2) to maintain law and order in a given territory which the actor is controlling, provided that the courts are staffed by personnel who were, prior to the outbreak of the conflict, appointed in accordance with the applicable rules as judges or clerks in the judiciary, and that the court applies the law that was in force before the conflict began – or at least does not apply legislation that is significantly more severe than that which was in place before the outbreak of the conflict. 33. An independent court partly presupposes that there is a separation of power; the decision-maker should be structurally independent of other state actors to prevent unjustified involvement in the judicial process. Its function and competences should be clearly specified in law, and it should also have exclusive jurisdiction over questions within its competence. The judges’ terms of employment must be such as to protect individual judges against threats or any other external influence. With respect to the requirement of impartiality, it aims at preventing bias and to ensure that the judge does not in any other way take extraneous factors into account. Although independence and impartiality are two separate legal principles, they are mutually dependent in that they aim to ensure that the accused receives a fair trial where the judgement is not a foregone conclusion. 34. CA 3 does not specify the requirements that must be met for a trial to be considered as fair under the Convention. The provision in CA 3 that the court’s administration of justice must offer those guarantees which are considered as indispensable by civilised people, can only be understood as a reference to the requirements of a fair trial that follow from customary international law. In the main, this implies the following requirements: (1) presumption of innocence; (2) right to defence before and after trial; (3) right not to have to testify against oneself; (4) right to a trial within a reasonable period of time; (5) right to call witnesses and to present on one’s own evidence; (6) right to a public trial and public judgment and (7) right to appeal. These principles are also set out in Article 75 of AP I and Article 6 (2) of the AP II. - The investigation underlying the judgment demonstrates that the preconditions for the establishment of a court that could be deemed independent and impartial and that could have met the fundamental requirements for a fair trial in accordance with international humanitarian law were not satisfied at the time in question. - Haisam Sakhanh’s actions were clearly unlawful and he therefore cannot be absolved of responsibility. - The section below sets out the reasons for this conclusion. 35. For the first time, section 3 of the Rome Statute collects and sets out the general principles of criminal law. These principles are only meant to be applied by the International Criminal Court. Thus, there is no requirement for them to be incorporated into national legislation or, for that matter, any obligation to that effect based on customary law, with few exceptions. The District Court nevertheless makes reference to Article 33, to the extent that this relates to the objection of the type made by Haisam Sakhanh. According to the general rule stipulated there, "the fact that a crime within the jurisdiction of the Court has been committed by a person pursuant to an order of a Government or of a superior, whether military or civilian, shall not relieve that person of criminal responsibility." The article, which only applies to war crimes, makes an exception if a person was under a legal obligation to obey such an order, on the condition that the order was not manifestly unlawful and that the person did not know that the order was unlawful. 36. In Swedish law, Chapter 24 of the Penal Code sets out rules on circumstances precluding responsibility. The issue of carrying out orders given by superiors, which is covered in Article 33 of the Rome Statute, has its equivalent in Chapter 24 Section 8 of the Penal Code. According to this provision, a person can be absolved of responsibility for an action which is carried out on the orders of a person to whom he/she is subordinate. In such a case, the person shall not be held responsible if he/she was obliged to follow the order out of consideration for the duty of obedience, the nature of the act and the general circumstances. However, this does not mean that blind obedience is permissible. It follows from general legal principles that the duty of obedience is not unconditional if the action ordered is criminal or in any other way clearly unlawful [...]. 38. As determined by the District Court above, a non-state actor may establish its own courts within the framework of a non-international armed conflict in order to (1) maintain discipline in the actor’s own armed units and (2) maintain law and order in a given territory which the actor is controlling. Another condition is that the courts are staffed by personnel who were appointed, in accordance with the applicable rules, as judges or clerks in the judiciary before the outbreak of the conflict, and that the court applies the law which was in force before the conflict began – or at least does not apply legislation which is significantly more severe than that which was in place before the outbreak of the conflict. The court must therefore meet the requirement of being independent and impartial and must be able to offer a fair trial. 39. The section below considers the factual evidence of significance in relation to Haisam Sakhanh’s legal objection. 50. During 2012, members of armed opposition groups committed serious violations of international humanitarian law, inter alia in the form of extra-judicial executions in regions including the Idlib Governorate, similar to the act before the Court. It has not been possible to establish that the FSA (Free Syrian Army) had control over the various militant rebel groups that were active in the different areas of Syria during the period 29 July 2011–May 2012 (see the District Court’s assessment concerning the Suleiman Fighting Company above). In areas where the rebels had sufficient control over territory to fill the vacuum where law enforcement authorities and courts were no longer operative, quasi-legal entities with so-called courts were established on an ad-hoc basis. The judges in these so-called courts were a mixture of imams and judges who had defected from the regime, and who applied both Islamic and Syrian law depending on which rebel group had established the court. In this quasi-legal system, participation in hostilities against the rebels was punishable by death. There was no right to legal counsel. It was not even permissible to conduct one’s own defence. Nor was there any right of appeal. Rebel groups could also have so-called hearing committees, where members conducted hearings and presented evidence before the court that they had themselves established. In this connection, there is strong evidence of torture being used during questioning. It is clear from the reports that the trial-imitating proceedings that were conducted did not fulfil the fundamental requirement of the rule of law under international humanitarian law. 63. Other circumstances contradicting Haisam Sakhanh’s claim, that the execution was preceded by a fair trial held by a legitimate court which resulted in a death sentence, are based on what appears from the propaganda film, the execution film and the film relating to the handling of the corpses. At the execution, the following words were spoken: "We will take revenge and that is a binding promise. And you will pay for our blood in double with your blood, day by day and our demand is for blood revenge." There is no statement revealing the names of those sentenced, the crimes they were accused of or their sentences, or even that it concerns the execution of a death sentenced pronounced by a court. After the execution, the members of the Suleiman Fighting Company, including Haisam Sakhanh, lift their weapons in a gesture of victory. Thereafter, the corpses are desecrated in an extremely offensive manner. In connection with this, offensive statements are also made. Overall, the circumstances are such that it is difficult to see this action as the carrying out of a sentence pronounced by a legitimate court following a fair trial, as claimed by Haisam Sakhanh. On the contrary, the evidence strongly indicates that the motive for the execution of the captured soldiers was an act of revenge. 64. Overall, based on the investigation of this case, the District Court is of the opinion that it can be ruled out that any trial whatsoever has taken place. Quite simply, the preconditions did not exist at the time for the establishment of a court that could fulfil the requirement of being independent and impartial and that could satisfy the basic requirement of a fair trial in accordance with international humanitarian law. And even if some form of legal process similar to a trial took place, given what has become known about the time at which the proceedings in such case would have taken place, the circumstances would have precluded such proceedings from being able to fulfil the fundamental requirements of a fair trial, and all of this must have been clear to Haisam Sakhanh. 66. The charge is substantiated. The ordered execution carried out by Haisam Sakhanh was manifestly unlawful and for this reason he cannot escape criminal responsibility. 67. As stated in section (A iii) above, there was a non-international armed conflict in Syria, implying that the guarantees set out in CA 3 and AP II are applicable. Haisam Sakhanh’s criminal conduct was committed within the framework of the armed conflict, which had a decisive influence on Haisam Sakhanh’s ability and decision to carry out the act. The victims were captured soldiers who belonged to the opposite party to the conflict. He also committed the crimes in his capacity as a member of the Suleiman Fighting Company and the actions served a specific purpose. It is therefore very clear from the investigation that there is a connection (nexus) between the acts for which he is being indicted and the armed conflict. 68. Given the connection between the conduct and the armed conflict, this should be seen as a serious violation of international humanitarian law. Haisam Sakhanh, in carrying out the actions described against seven persons hors de combat, is guilty of having committed serious violations of CA 3 and generally recognised principles of international humanitarian law. Haisam Sakhanh’s actions are therefore punishable as crimes against the law of nations in accordance with Chapter 22 Section 6 § the first paragraph of the Penal Code. The crime is to be considered as serious since several persons were executed under particularly cruel circumstances, where the victims, who at the time had extensive injuries, several after having been subjected to ill-treatment, completely lacked the ability to defend themselves and were obviously aware that they were going to be deprived of their lives. 73. At the time of the crime, the penalty for serious crime against the law of nations was imprisonment for a maximum of 18 years or life. 74. Haisam Sakhanh actively participated in a mass execution of persons who, according to international humanitarian law, should have been guaranteed protection. It concerns a particularly serious crime with such a high penal value that the sentence cannot be anything less than life imprisonment. a. How would you classify the situation in Syria as between the parties mentioned in this case at the time of the incidents? In your opinion, does IHL apply to the whole territory of Syria, or only to certain regions? b. How do internal disturbances and non-international armed conflicts differ from one another? c. Does Protocol II apply to the acts discussed in the judgment? If not, how could one explain why the Court refers to P II? a. What status did Haisam Sakhanh have, if any, while he was fighting with the "Suleiman battle Company" (Firqat Suleiman el-muqatila)? b. (Para. 8) Is there a “combatant status” for fighters of non-state armed groups? Do you agree with the conclusion the Stockholm District Court comes to? a. Is it admissible under international law that a Swedish court exercises jurisdiction over the crimes Haisam Sakhanh is accused of? b. Can Haisam Sakhanh be held accountable for his deeds during his time as a fighter? Is his status relevant? Would the answer be different if Haisam Sakhanh committed his crimes as a civilian not affiliated to an armed group? c. (Paras 15-25) Could the crimes that Haisam Sakhanh is accused of amount to the level of war crimes? d. (Para. 67) What specific element does the District Court establish as needing to be present in order for the crime Haisam Sakhanh committed to be considered a war crime? b. If the execution had actually been ordered by a court meeting all the requirements of a fair trial, would the manner in which the soldiers were executed be lawful? c. What do you think of the fact that the execution was video-recorded? Even in case of lawfully executed sentences, would such recording be in accordance with IHL? 5. (Paras 26-31; 38; 50; 63-4) What does the Swedish District Court conclude about the ability of armed groups to establish courts? In general? In the instant case? 6. What guarantees must a court fulfil under GC I-IV, Art. 3? a. (Para. 26) Do they apply to this situation? b. (Para. 27) How are Art. 6 (2) AP II and Art. 75 AP I different from Common Article 3 as concerns the guarantees a court must fulfil? Do these provisions apply to the situation in the region of Idlib where the executions took place? c. (Paras 26-31) How do you interpret the phrase “regularly constituted court”? How does the District Court interpret it? Do you agree with the arguments presented by Mark Klamberg and endorsed by the Court? What other legal arguments could you think of in order to interpret the phrase as encompassing the possibility for armed groups to establish their own courts? d. (Paras 26-31) Do you agree with Mark Klamberg that without judicial sanctions it would be impossible for armed groups to impose discipline among their armed forces? What would this mean for armed groups in general, the majority of which does not have judicial courts? e. (Paras 26-34) According to the Stockholm District Court, what does the requirement for a fair trial entail? Could these conditions be satisfied by a court established by an armed group? According to the Court? In your own opinion? What particular requirements would be difficult for courts established by armed groups to fulfil? f. Under those requirements, could a government soldier ever be tried by a court established by an armed group? For the mere fact of having participated in hostilities? For violations of IHL? Does IHL prohibit parties to NIACs from trying members of the adverse armed forces for the mere fact of having participated in hostilities? g. Do you agree with the requirements for a fair trial identified by the District Court? Could an analogy with IHL on military occupation provide a more satisfactory solution (GC IV, Art. 64 and 66)? Which of the requirements in para. 31 do not apply to a court established by an occupying power? 8. (Paras 35-39; 50; 63-66) Did the District Court disagree with the principle of Haisam Sakhanh’s claim that he could not be responsible for war crimes as he acted pursuant to a court sentence? How does the District Court argue that Sakhanh is nevertheless responsible for crimes?